Home→North Texas Browncoats→CSTS is two weeks away! ← CSTS 2015 Tickets and merchandise are now on sale! CSTS is two weeks away! It’s been a really long year, and this blog hasn’t been updated in far too long, as much of my energy has been consumed until now by my CSTS global duties and hectic personal life. But silence doesn’t mean surrender, and our behind the scenes work is nearly done! This year’s North Texas CSTS event is just two weeks away, on Sunday September 27th at the Alamo Drafthouse in Richardson. Just a few days later, the North Texas Browncoats will be hosting the Alamo’s annual Serenity Quote-Along on the 30th – the actual 10th anniversary of the film’s release. This year’s main event will include Serenity and Doctor Horrible’s Sing-Along Blog,* as well as all of our traditional games and activities. We’ll again be holding costume contests and Evil Laugh competitions for both kids and adults, so break out your brown coats and parasols, and brush up on your best bone chilling cackles! We will not be having a separate Can’t Stop the Music event this year. They’ve never been terribly popular and they take quite a lot of planning to put together, and this year we simply haven’t had the time to get it organized. We will however have the award winning songwriter and enthusiast of all things shiny, Matthew Broyles performing live during the break between movies, in acoustic duo form with the stunningly talented Beth Brown. The Matthew Show has been an integral part of CSTM for many years, and some of you may remember Matt from his accompaniment of our record setting Hero of Canton sing along back in 2013 as well. Tickets and merchandise will remain on sale through this website until Friday, September 25th, and will be available again at the door provided we don’t sell out. At this time we still have plenty of room, but there’s always a rush on ticket sales during the last two weeks, so if you haven’t bought your tickets, now is the time to make sure you get them before they’re gone! T-shirts and merchandise are also in limited supply, and patches are already nearly sold out! We’re still working out some tweaks to the schedule and to a few of our traditional entertainments, we may have a few surprises up our sleeve on the day of the event. We’re also working out details on an exciting new fundraising idea! We’re partnering with Texas U Can Paint on a Firefly/Serenity themed charity painting class sometime in October. As with all of our CSTS events, proceeds will of course benefit Equality Now. Watch this space for details on the class to be posted as soon as they’re finalized. Here’s this year’s schedule as it currently stands. Keep in mind that the schedule is fluid and subject to change, and some things may run a bit longer than foreseen. The movies may start a few minutes late, but they will not start early. Registration will remain available for late arrivals in the lobby until Serenity begins. Any major changes to the schedule will be posted here ahead of time, otherwise please allow 15 minutes of wiggle room on the start of Serenity. We’re almost there! Anyone with donations to bring, please drop us a line at northtexasbrowncoats@gmail.com. 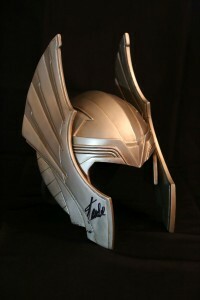 In the meantime, we have one item in particular we’d like to go ahead and show you. 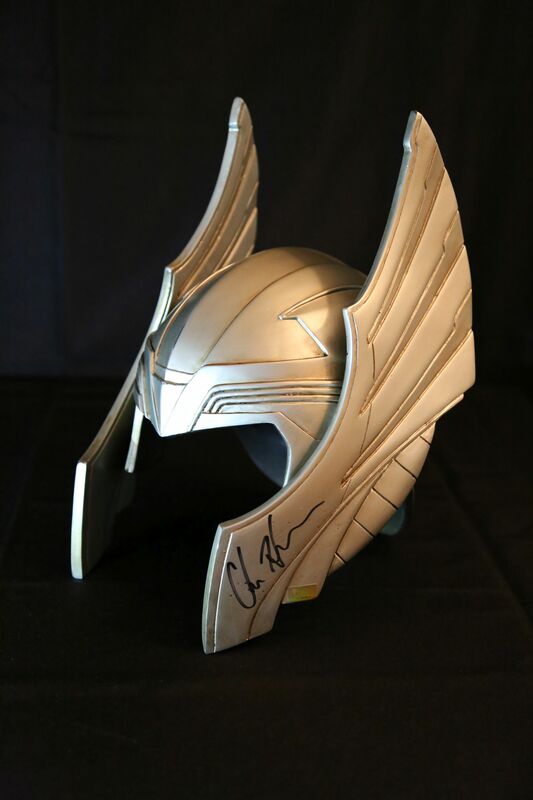 This beautiful Son of Asgard replica helmet signed by Chris Hemsworth can be purchased on Amazon for $599.99. However, this one is even rarer and more unique; in addition to Mr. Hemsworth’s signature, this helmet has also been signed by Stan Lee. Our incredibly generous donors have spent a pretty penny acquiring the helmet for our auction, and there will be a reserve on it. We may choose to list it on ebay, and if we do, we’ll do our best to arrange the auction to conclude during our live event. If it’s listed on ebay, you’ll be the first to know. Further announcements will be posted regularly over the next several days, as all arrangements are finalized. See you all in a couple of weeks!